The Niagara Arts and Cultural Center ASI “Arts Organization of the Year”! 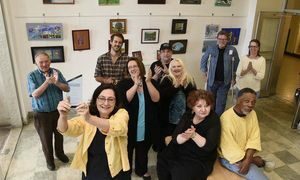 ASI’s Spark Awards recognizes the leaders and supporters of the Western New York arts and cultural community. Nominations are accepted from Allegany, Cattaraugus, Chautauqua, Erie, and Niagara Counties. Winners were chosen by a panel made up of representatives of the ASI Board of Directors and WNY community leaders. The Organization of the Year Award honors a not-for-profit, or for profit, cultural organization for their achievements in the arts. rsity, educational programming and promoting fine arts. The Kid’s Fine Art and Performance Camp along with the new public programing on the importance of the Niagara Portage to North American history were highlighted as accomplishments for 2014. These projects were the vison of executive director Kathie Kudela and were overseen by the NACC’s new development director Kelly Lang Buckley. Under their leadership, the NACC’s summer program launched a new curriculum in 2014. It was the pilot and model for the integration of cultural history and fine arts programing. The NACC’s partnership with Niagara Falls National Heritage Area created a new hybrid developed to increase cultural awareness and stimulate creative thinking while instilling a sense of regional pride in area youth. It is the first of its kind in the nation. “The Discover Niagara, Jr Ranger Ambassador Program” as developed by the NACC and the NFNHA was presented to all 47 National Heritage Areas at the 2014 National Heritage Area Conference. It has already become the model for a similar program between Girdwood Fine Arts Camp and The Kenai Mountains-Turnagain Arm National Heritage Area in Alaska. The NACC also launched a new lecture series on the Niagara Portage and Freedom Crossing The UGRR in WNY. Although the ASI Organization of the Year Award was presented for the accomplishments of the NACC in 2014, this month marks the 14th Birthday of the Niagara Arts and Cultural Center. On May 16, 2001, as a result of a community appeal to save the historic Niagara Falls High School from demolition, The Niagara Falls School District transferred the property and the building to the organization called Save Our Sites, Inc. . Soon after, a resurrection began to occur. The building was brought back to life as the once empty and abandoned halls of this Niagara County Gem began to fill. Artists and Community leaders started to clean and renovate the space turning it into the Niagara Arts and Cultural Center. The NAC C now serves as a community anchor and at 180,000 square feet is the largest multi-arts center in New York State. All of the former classrooms and even the closets are now rented on a regular basis. 75 different artists and community groups fill the building with creative energy and activity. The former high school cafeteria is now an elegant gallery with fine art exhibits on display for the public to enjoy, and the former gym acts as a certified sound stage for producing movies and videos, the library hosts community theater, and the classrooms are filled with students of all ages learning music, art and dance. Still the NACC continues to grow, and its place as a local and regional asset becomes more and more apparent. Already the NACC attracts talented and hardworking visionaries that are agents of change for the Niagara region. 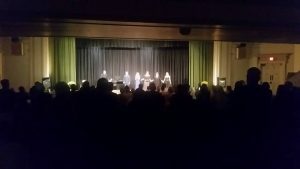 So what’s next for arts in Niagara County? As cultural tourism expands, so will the role of the NACC in the plans for economic development for the city of Niagara Falls. 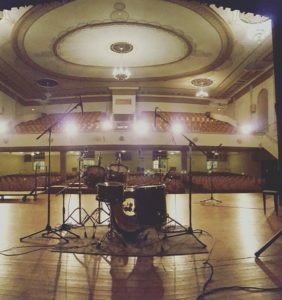 Currently the NACC is working on revitalizing the 999 seat Grand Theater at the heart of the former high school. 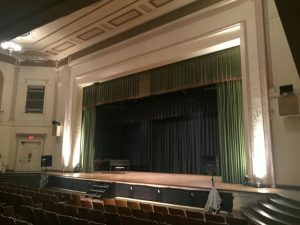 The former auditorium with its beautiful architecture stands poised to become a regional venue for cultural events like opera performances, touring productions, or a Niagara Falls symphony orchestra. Jr. Ranger guide to Niagara Falls.